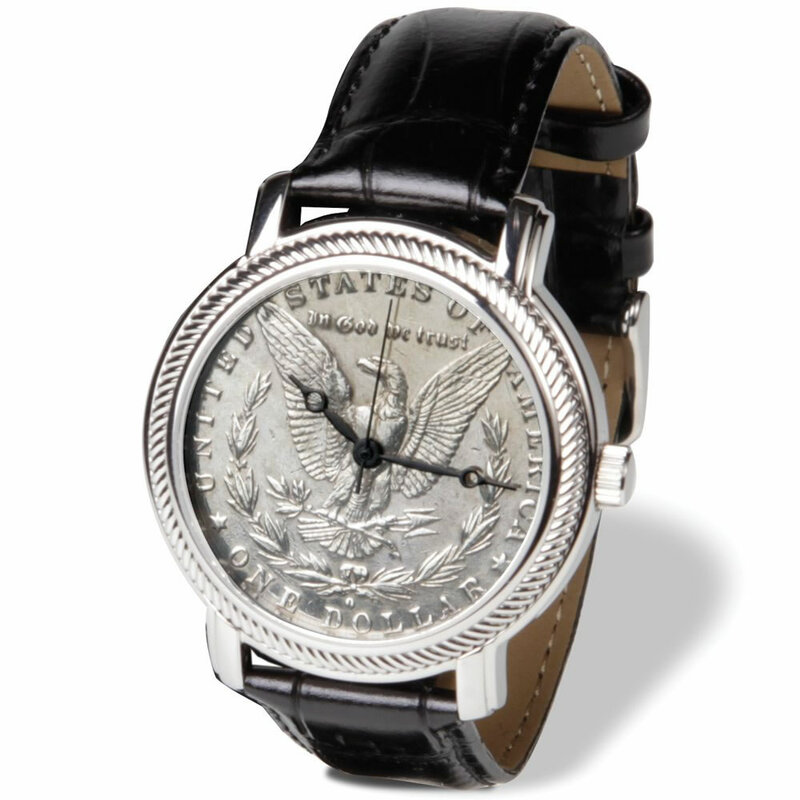 This is the timepiece that incorporates a genuine U.S. Morgan silver dollar into its watchface. Designed by English engraver George T. Morgan, the coin was minted from 1878 to 1921. With three hands, the timepiece employs the reverse side of the coin as the watchface, featuring a bald eagle, the mintmark below the wreath, and a tiny, sideways 'M' etched into the left loop of the wreath's ribbon, the first U.S. coin to use the designer's initial on both sides. Each watchface is unique because of variation in wear, most notably on the crest of the eagle's breast. 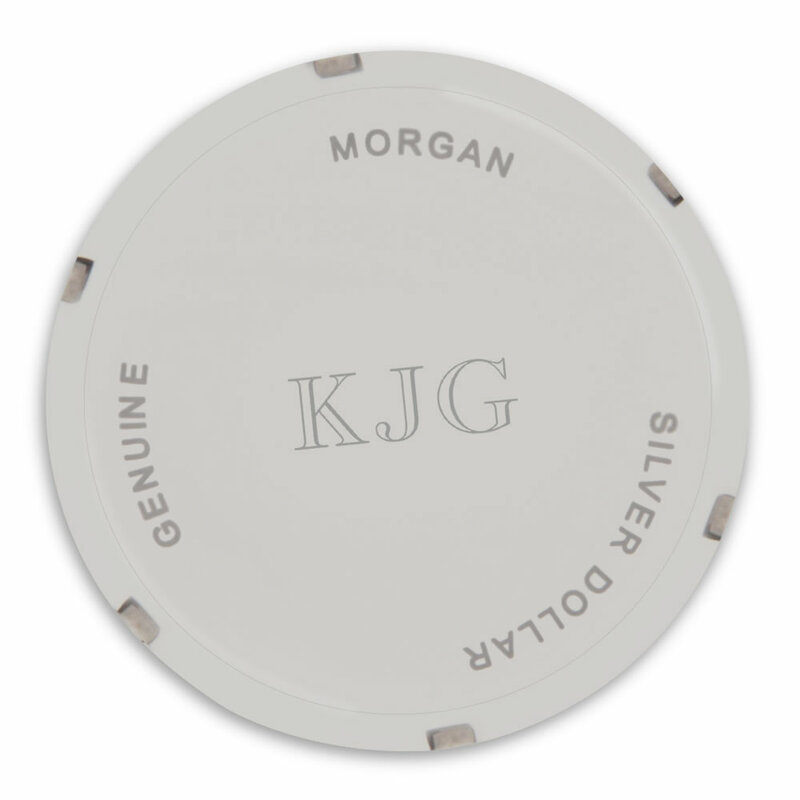 Each coin has a silver content that is 90% of 0.900 fineness and is cut cross-sectionally and surrounded by the watch case. Quartz movement provides reliable timekeeping. Engraving of up to 3 letters available for back of the watch. Black leather strap fits wrists up to 8 1/2" in circumference. 1 3/16" diameter x 7/16" D.
The Genuine Morgan Silver Dollar Watch comes with The Hammacher Schlemmer Lifetime Guarantee. Items that we sell are guaranteed for their normal life under standard non-commercial use.